Read from file for Google Maps pins is a feature that helps improve site speed for more than 200 properties on the map. 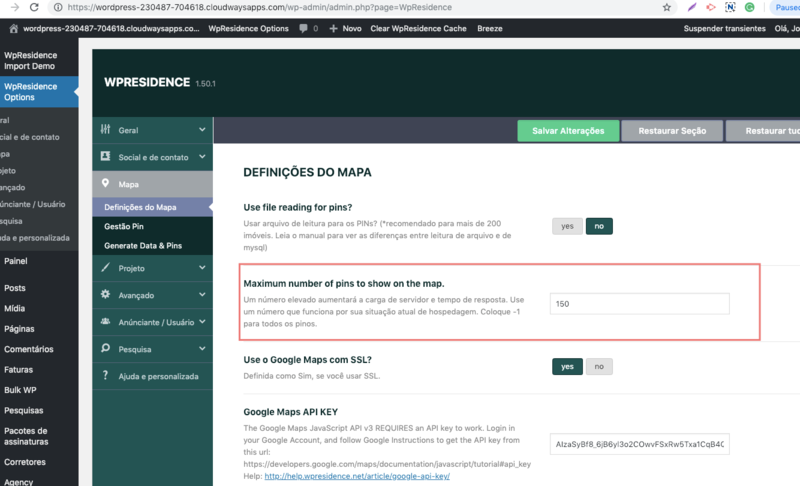 If Read from Map is enabled – and you have a page with header as google page (and this page is a default page), you see all properties pins. That’s how read from file works and applies only for pages with default template and header media set to google maps. If you don’t use Read from file – then the number of pins set in Theme Options apply on the Default Page with header media as google maps. – Property taxonomies pages (city, area, state, category and type). A cron runs daily to generate new pins for new properties. 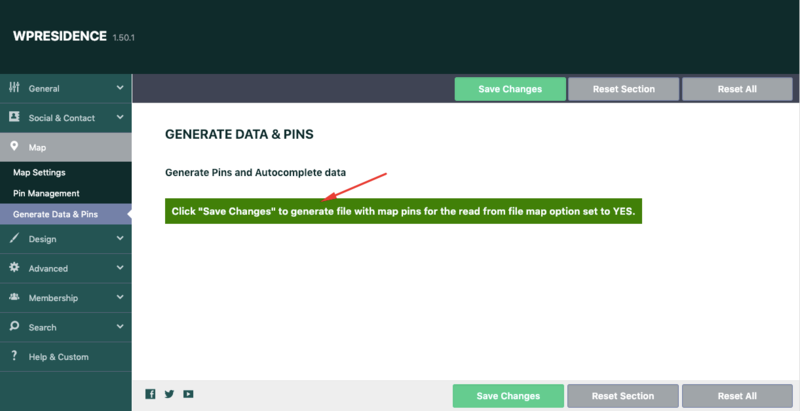 Enable Use File Reading for pins. Save Changes.